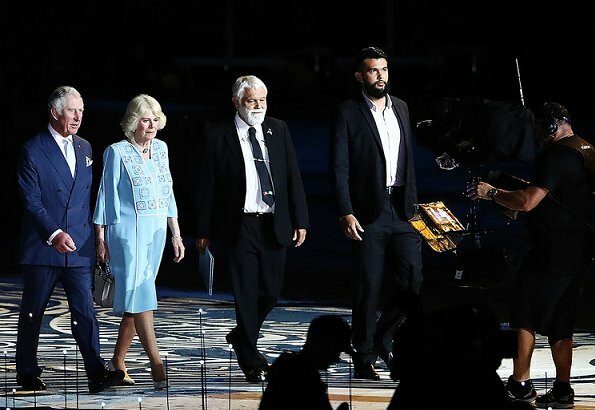 On April 04, 2018, Prince Charles and Duchess Camilla of Cornwall attended opening ceremony of Gold Coast 2018 Commonwealth Games (GC2018) held at the Carrara Stadium in Australia. 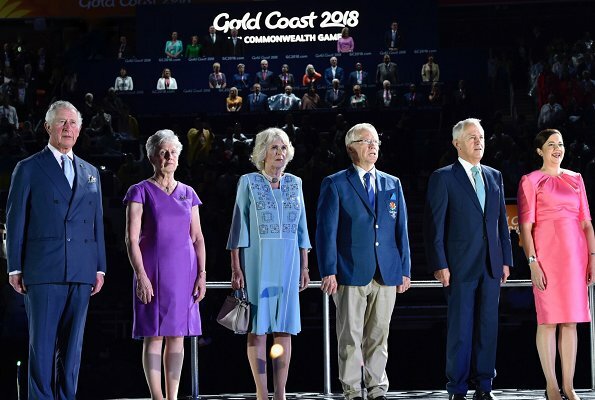 The Gold Coast 2018 Commonwealth Games (GC2018) welcomes more than 6,600 athletes and team officials from 71 Commonwealth nations and territories to the Gold Coast and event cities Brisbane, Cairns and Townsville, to share in the celebration of sport, entertainment and culture. What a nice dress and beautiful color, i would like to have this dress. 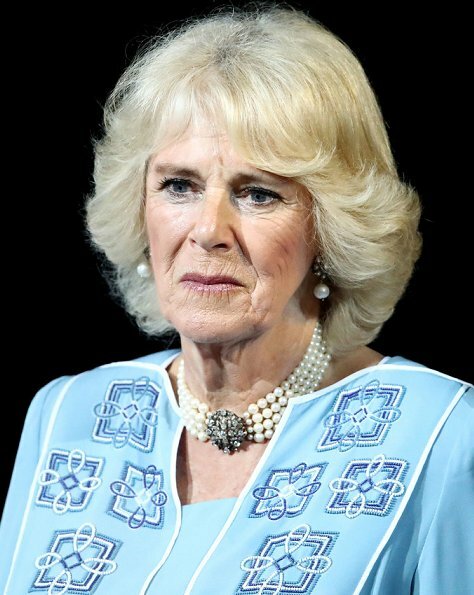 As another "granny," I am interested to see the cut of Camilla's dresses which really do flatter her and fool the eye a bit. They move easily on her and the sleeve length and roominess make them successful. 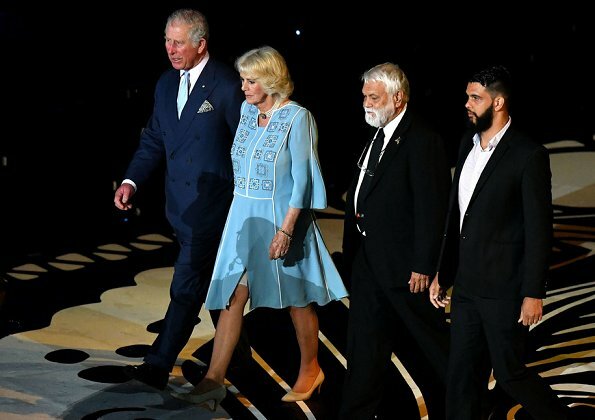 The lack of a waist seam isn't noticed with the trim defining one instead. Smart design! 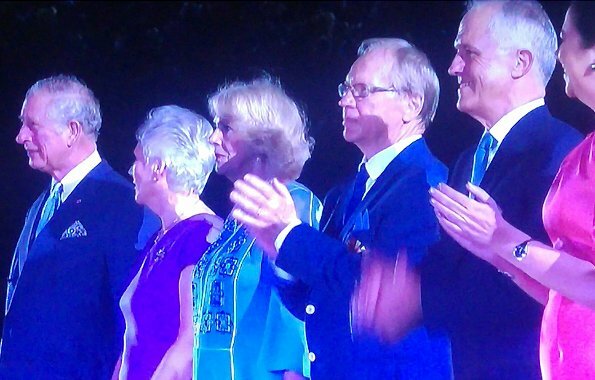 Princess Beatrix also uses some good design and lavish fabrics to distract the eye. 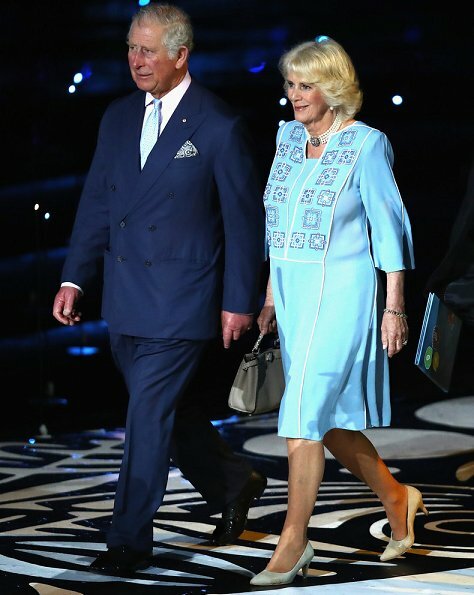 I personally have always been a fan of the way Camilla dresses for her age and shape. Her clothes never look tight and binding or just plain inappropriate for her. 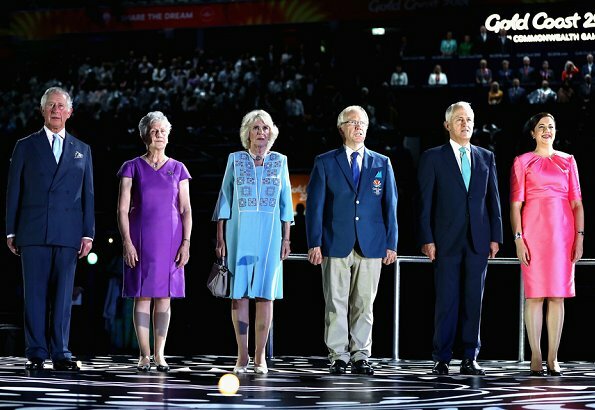 They are not things that you can buy in the store so I am sure she has a wonderful seamstress who knows just what works for her. 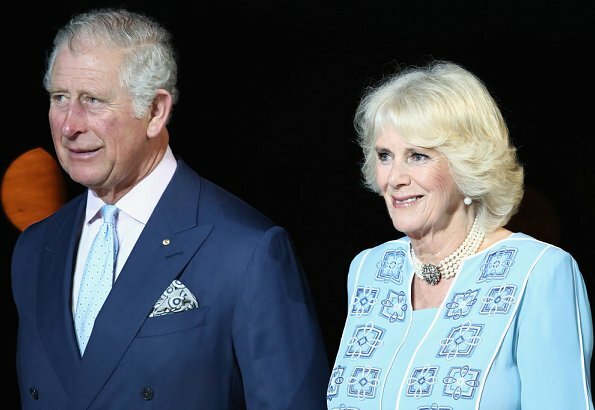 Dear Prince Charles and Camilla, please take a safe and enjoyable trip in Australia.